Synopsis of the Chasing Consciousness, Rethinking the Mind lecture series. What happens when a bio-physicist, a sociologist, and a physicist come under the same roof to discuss the reality of our awareness and the pathways to our consciousness? Well, the audience witnesses a melting pot of ideas that leaves them more enlightened, present and grounded. 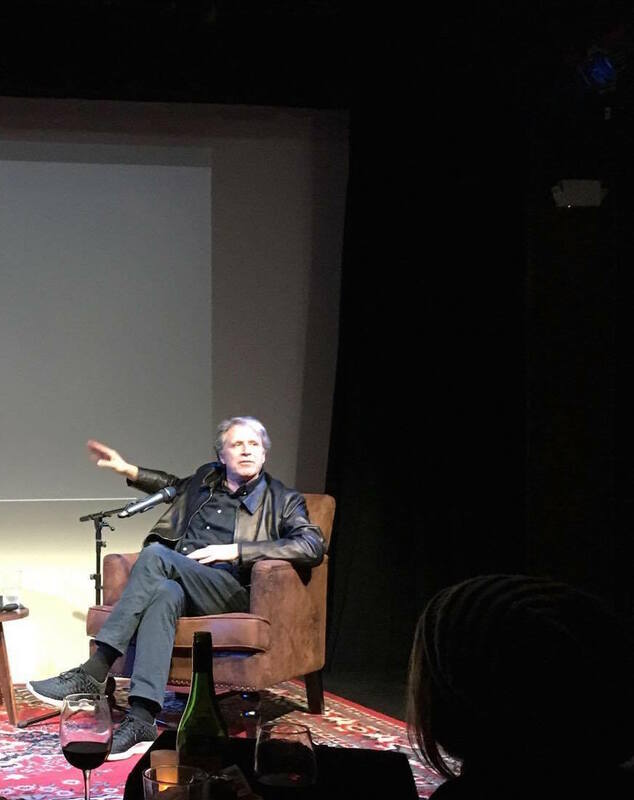 Just before thanksgiving, on November 21st 2017, the YHouse organized its third colloquium for the Chasing Consciousness Series (a series of lectures that raises critical queries on consciousness and its place in the nature of life). The speakers for the event, Carl Pabo; Eiko Ikegami; and Scott J Bolton, came from diverse academic fields and lent equity of thought and a holistic edge to the discussion. Further, the warmth of the presenter- our very own Caleb Scharf, the short 90-minute format, and the intuitive stage design, added to the success and sublimity of the event. The first speaker, Carl Pabo, a distinguished bio-physicist and the founder of Better World Institute for Thought and Policy, embraced a reflective mood for the evening. He began by speaking about his research on understanding the processes of thought (both bio-physical and meta-physical) and proposed new ways for orchestrating thoughts and training the brain to think ‘beneficially’. Expanding on the idea, Carl put forth the example of a math class where students with the help of trainers, mould their brain in a specific manner to solve seemingly complicated numerical problems. Similarly, he proposed that if one uses techniques that induce a specific style of thinking within the network of the brain, it could lead to better policy-making, and by extension, build a better society. Speaking further, Carl elaborated on a crucial weakness of our generation- our reliance on technology to store and process relevant information. He insisted that there is a compelling need to instate and store ideas physically in the brain, as the process would help the humans in thinking clearly and forcefully through some of the most complicated human problems. In fact, Pabo’s institute, the Better World Institute for Thought and Policy, aims to do exactly that and more. Pabo drew inspiration from the Delegates of the Constitutional Convention of 1787- he spoke about how he was enchanted by the notion that a group of people could just sit in a room, sans any Twitter or Facebook, and not only think through some of the hardest problems of a society but also draft palpable solutions for the same. Admittedly, Pabo aims to instil the same level of depth and clarity to his own work at his institute. He is currently working for to find solutions for a number of causes including issues in the ecosystem, the economic and financial system, the political scenario and the world order etc. Our next speaker, Eiko Ikegami, Professor of Sociology at the New School For Social Research, took us through the lesser-known world of virtual reality and autism and introduced us to perspectives on neuro-diversity. She began by talking her current research project that aimed to understand the socio-cultural, sensory-perceptual, and mental experiences of the autistic people in Japan through digital ethnography. Elucidating on the premise of her research, Prof. Ikegami asserted that since everyone in the society lives and understands things from their own bubble/perspective, the project was her attempt to learn more about autistic people, that are very different from her in the neurological spectrum, and interpret it from her own bubble. So how does Eiko carry out the digital ethnography? Well, she and her teammates have turned themselves into digitally embodied figures or ‘avatars’ in the virtual world of the online game Second Life, and it is in the digital world that they observe and communicate with adults that have Autistic Spectrum Disorder (ASD). What is even more impressive is that, Eiko has spent over 6 years on this project and has been a part of more than 100 sessions so far. Continuing further, Eiko emphasized on the heightened appreciation that she developed for people she thought were ‘disabled’. Narrating stories of the friends she made in the virtual world, Eiko suggested that contrary to the common perception, most of the autistic adults she studied were extremely talented and proficient in communication with each other. Their confidence was perpetuated by their online identities and the adults surprised her at each juncture of her research. Eiko concluded her lecture by raising a prominent issue- how acceptable is diverse intelligence in our society today? She emphasized that while we as a society, we are embracing racial, gender and sexual diversity, there is still a need for mental diversity to be accepted and recognized by masses. Further, she welcomed the role of technology in helping autistic people to adjust better in the real world. Moving further to the last speaker for the evening, Scott J Bolton, an experimental physicist and the Principal Investigator for the Juno Mission at NASA, took us beyond the realm of this earth and offered cosmic insights into our lives. Reiterating Eiko’s thoughts on how humans tend to live in their own bubbles, Scott pointed that such individualistic existence makes humans more egocentric. However, the cosmic awareness that there exists a reality beyond your own city, country, planet, solar system etc. helps us adopt a more humble and flexible perspective on life. Scott took inspiration from Galileo’s life. He was of the opinion that Galileo, by looking beyond and above his immediate surrounding to discover that there existed entities that were different from his planet, had changed the collective consciousness of all human beings. Further, he expressed that he had seen many of his colleagues transform into more aware beings on their return from their space missions. Thus, asserting the philosophical insights that cosmos have to offer. Finally, to drive the point home, Scott screened a couple of movies that showed the earth and moon moving together. However, the catch was that the images in the movies were taken from a satellite that was closer to Jupiter- thus, making us all realize that there are things beyond our immediate existence.